We’ll study ancient and modern theories of credibility so that you can build your own credibility with audiences that are important to you. Building on ancient and model theories, we’ll analyze and assess the effectiveness and ethics arguments in the bicycle world, such as claims about the effectiveness of helmets, environmental impact, the scale of doping in sport, or economic impacts. Major Speaking Assignment: S1 Credibility Assessment (4 minutes). You’ll use theories of effective communication to assess the credibility of a speaker or writer in your area of your own interest (for example, business, science, health, or the arts). Use rhetorical concepts and principles to evaluate the effectiveness of your own and others’ communication in both academic and civic contexts. Use rhetorical concepts and principles to practice ethical and socially responsible public speaking, and to identify and evaluate ethical problems in public address. 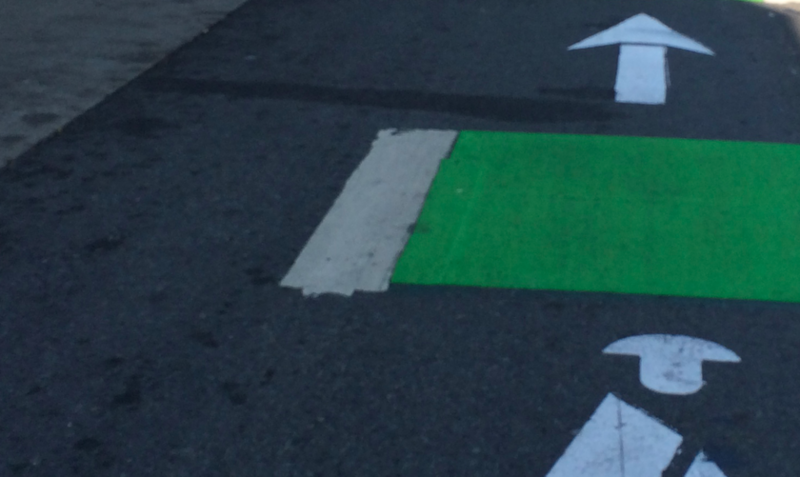 Image: the credibility of bicycle lanes in San Francisco — does they increase or decrease auto emissions?